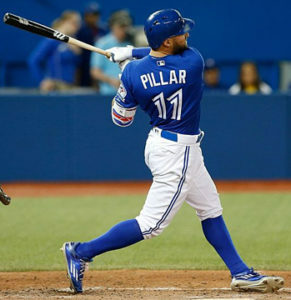 (JTA) – June 8 was the most productive day for Jewish batters in Major League Baseball history. 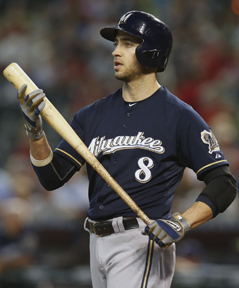 Ryan Braun, “The Hebrew Hammer,” hit two home runs, driving in five runs to lead the Milwaukee Brewers to a 12-4 win over the Philadelphia Phillies – who have a Jewish manager in Gabe Kapler. Braun’s three-run shot with two outs in the first inning broke a scoreless tie. His two-run homer, again with two outs, left Philadelphia’s Citizens Bank Ballpark with an exit velocity of 112.9 miles per hour, according to the new high-tech analytics. It’s the hardest ball Braun has hit since they started measuring these things in 2015. Finally, fellow Angelino Joc Pederson launched lucky No. 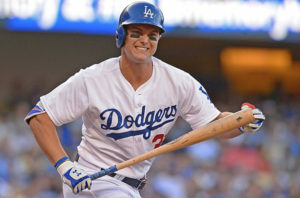 7 – his sixth in June – as the Dodgers beat the Atlanta Braves, 7-3. 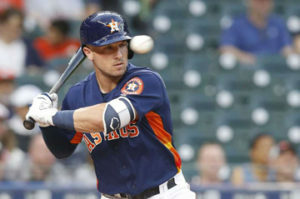 Pederson gained some national distinction last fall when he set a new record for homers by a Jew in a World Series by connecting three times against the Houston Astros. That surpassed Detroit Tigers Hall of Famer Hank Greenberg, who had two in the 1934 Fall Classic against the St. Louis Cardinals. All told, Braun, Pillar, Bregman, Kinsler and Pederson accounted for 29 percent of their teams’ RBIs on Friday. On May 23, 2002, former All-Star Shawn Green of the Dodgers hit four home runs – along with a double and single – in a 16-3 win over the Brewers. Fewer than 20 batters in baseball history have managed that feat. 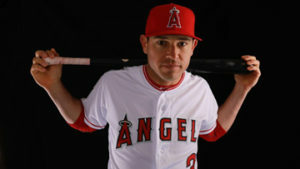 Green also set a single-game record that day with 19 total bases. On Aug. 20, 1938, Morrie Arnovich and Phil Weintraub of the Phillies hit home runs in an 8-7 win over the New York Giants. Harry Danning, the Giants catcher, also hit one out. According to the Jewish Major Leaguers 2009 card set, this marked the only time that three Jewish players accomplished the feat in the same game.